No party is complete without the aroma of hot, buttered popcorn wafting through the air. Tasty snacks to munch and crunch are a perfect treat for hungry bellies and an excellent party addition to complete the carnival atmosphere. 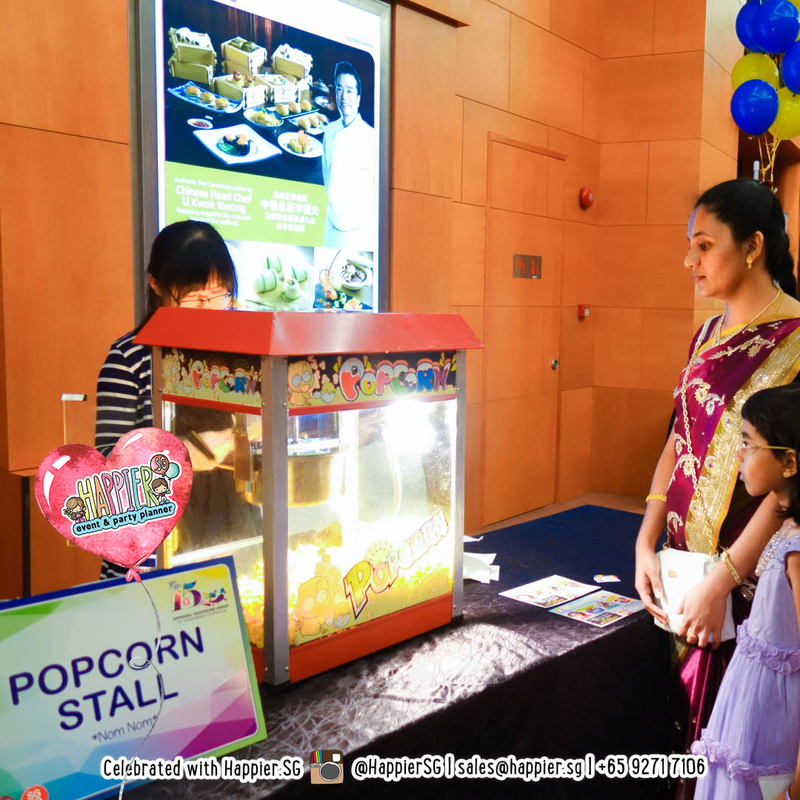 Our lip-smacking popcorn will keep the kiddos content and make the adults feel like children again! Stress free and hassle free, all you have to do is give us a call and we’ll handle the rest. 3) Delivery, set-up and clean up! Contact Us today to rent a popcorn and cotton candy machine at your event. For a more traditional taste at your party, take a trip down memory lane with our delicious Old School Singaporean Snacks! How do you charge for popcorn machine rental? Our snack stations are hired on an hourly basis with minimum 2 hour booking per trip. Our packages are all inclusive of delivery, setup, service crew and ingredients. What do I need to prepare for the popcorn station? Please set aside 1 table and 1 chair beside a 13A power source for your popcorn station. How long in advance do we have to book your popcorn station? We need to arrange freshly purchased ingredients, well cleaned machines, a van driver and a licensed food handler for every popcorn rental booking. That’s quite some logistics to dabble with, so it is advisable to book us at least a week in advance to avoid disappointments. What if I have yet to finalise my party but I am really keen to book your popcorn station?